Most of these days are spent perfecting the menu for Jinellycakes! Smores is one of my favorites! 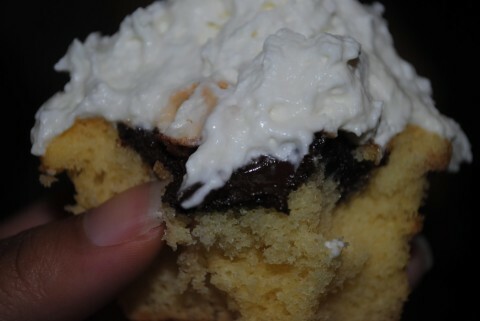 Sure it looks harmless, but this cupcake is packing chocolate, marshmellow and graham crackers on the inside - just like smores you'd make by the fire! Stay tuned for more updates on our flavors and toppings! Those look sooooo good! 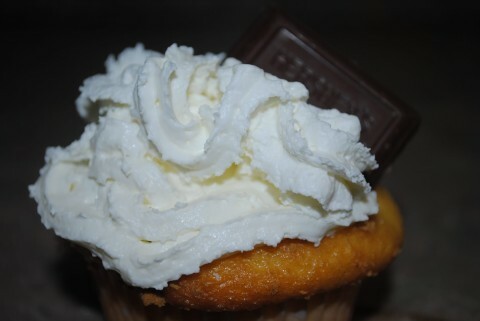 I love a moist & delicious cupcake!